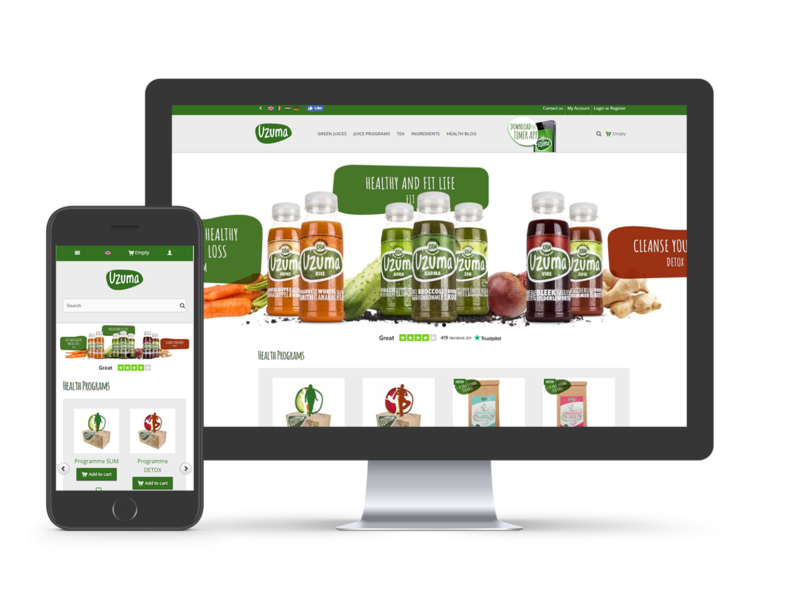 Find out how Yuqo helped improve key business metrics like sales, website visitors, and online traffic for green juice company Uzuma. Set against the picturesque backdrop of the Southern Netherlands, Uzuma had a simple but ambitious goal: to develop unique combinations of slow-juiced fruits and vegetables that anyone can enjoy. Exceptional nutritional value is essential, but Uzuma’s products also provide a taste sensation that consumers love. With Uzuma offering pure, healthy, and incredibly tasty juices, Yuqo was appraoched with the goal of enhancing online performance and improving key business metrics. Results were near-instantaneous as their sales figures turned a brighter shade of green. Operating in six European nations, Uzuma’s primary limiting factor was a website only available in English. This put the company at a distinct disadvantage with inconsistent sales — a problem aggravated by an enormous collection of informative, but unoptimised content that customers would have to wade through. Uzuma needed content that was appealing, well-organised, and optimised for search engines. Alongside these requirements, each piece of material would have to be underpinned by the values of the company, something Yuqo was happy to oblige. By generating professionally written and designed content that adhered to SEO requirements and was completely original, not only was the readability of their website improved, but also the online findability. Furthermore, the six countries served by Uzuma would have each piece of newly generated content translated into their native language. The success Uzuma has seen is unlike anything prior to their partnership with Yuqo. The figures speak for themselves; and as for Uzuma, they continue to produce some of the best cold-pressed green juices you can find on the market, backed up by newly discovered online success. By offering professionally written original content in several languages, the total number of website visitors increased by 58%. Improved adherence to SEO metrics and consumer readability of Uzuma’s website enhanced overall sales figures by over 33%. New and returning customers not only visited more additional web pages, but spent longer on product/purchase pages. By optimising Uzuma’s content, they gained highly beneficial rankings in search engine results. The number of visitors directed via Google increased by 337%.